Are you the next beauty or accessories superstar on the retail style scene? 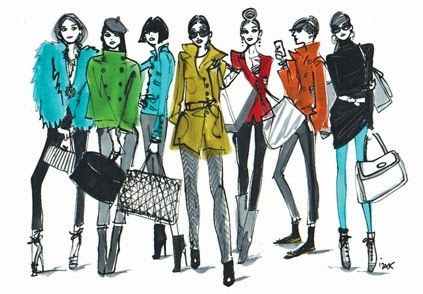 One of my favorite boutiques Henri Bendel is having its legendary casting call this Friday. For years, the famous "Open See" day has discovered many of the hottest designers around today. Buyers at high end department stores are notoriously difficult to get an appointment with. This event gives a diplomatic opportunity to all emerging designers to have their work seen, purchased and presented to the public at one of the most prestigious retailers in NYC. Are you ready for your closeup? More informaion on how to apply to the Henri Bendel Open-See here. The NY Now lifestyle trade show is seeking top new designers and design students to present in February. Chosen talents will gain big exposure to the design and manufacturing community (and hopefully buyers) when then are exhibited at the "Accent on Design" presentation at the show. Deadline is December 2, 2013. More information here.